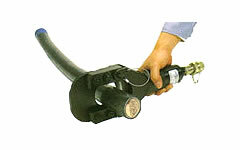 P-60 Hydraulic Cutters: Izumi Products. The P-60 portable hydraulic cutter head features: Fast cutting with remote operation. Guillotine type cutting for less jamming than shear type cutting. It can be operated by any hydraulic pump with rated oil pressure of 700 bar. 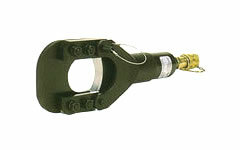 Equipped with NPT 3/8" threaded Parker type high pressure couplers. Blades are easily replacable. Maximum opening : 60 mm Lock pin type cutter head.